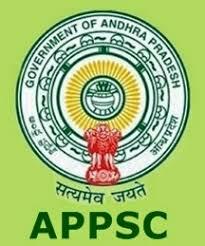 Andhra Pradesh Public Service Commission - APPSC published an official notification for Recruitment of Assistant Executive Engineers for 309 posts. Eligible candidates can apply for this recruitment. You can view more details about this recruitment including No. of posts, name of post, Educational qualification, Age limit, Selection process, How to apply etc... You can also view official notification and other important facts about this recruitment e.g. Important links and Important dates. AEE (Civil) in AP Rural Water Supply and sanitation Dept. : Must possess a Bachelors Degree in Civil Engineering of a University in India established or incorporated by or under a Central Act, Provincial Act or a State Act or an Institution Recognized by the University Grants Commission or pass in Section (A) and (B) of AMIE Examination conducted by Institute of engineers in Civil. G.O.Ms.No.75, P R and R D (Estt-III), dated:06.04.2011. AEE (Civil) in Roads & Buildings Engineering Service : Must possess a Bachelor’s Degree in Civil Engineering of a University in India established or incorporated by under a Central Act, Provincial Act or a State Act or an Institution Recognized by the University Grants Commission or an Equivalent qualification. As per G.O.Ms.No.230 TR & B (Ser-II) Dept., dated:02.11.2005 and G.O.Ms.No.171 TR & B (Ser-II) Dept., dated: 18.09.2006. AEE (Electrical) in Roads & Buildings Engg. Service : Must possess a Bachelors Degree in Electrical Engineering of a University in India established or incorporated by under a Central Act, Provincial Act or a State Act or an Institution Recognized by the University Grants Commission or an Equivalent qualification or a Pass in Section (A) and (B) of the Institution of Engineers in Electrical Engineering. As per G.O.Ms.No.103 TR, R & B (Ser-II) Dept., dated:22.05.1996. AEE (Civil) in A.P. Water Resources Department : Must possess a Bachelor’s Degree in Civil Engineering of a University in India established or incorporated by or under a Central Act, Provincial Act or a State Act or an Institution Recognized by the University Grants Commission / All India Council for Technical Education or an Equivalent qualification. (As per AP Irrigation Engineering Service vide G.O.Ms.No.32, I & CAD Ser.IX Dept., dated:12.04.2010. AEE (Mech) in A.P. Water Resources Department : Must possess a Bachelor’s Degree in Mechanical Engineering of a University in India established or incorporated by or under a Central Act, Provincial Act or a State Act or an Institution Recognized by the University Grants Commission / All India Council for Technical Education or an Equivalent qualification. (As per AP Irrigation Engineering Service vide G.O.Ms.No.32, I & CAD Ser.IX Dept., dated:12.04.2010. AEE (Civil / Mech) in A.P Tribal Welfare Engineering Department : Must be a Graduate in Engineering (Civil / Mechanical) from any University in India established or incorporated by or under a Central Act, Provincial Act or a State Act or an Institution Recognized by the University Grants Commission or an Equivalent qualification. As per G.O.Ms.No.67, SW (V) dept., dated:12.04.1994. AEE (Civil) in A.P Public Health & Municipal Engineering Department : Must possess a Bachelor’s Degree in Civil Engineering of a University in India established or incorporated by or under a Central Act, State Act or an Institution Recognized by the University Grants Commission / AICTE or a Pass in Sections ‘A’ and ‘B’ of AMIE (India) Examination in Civil Engineering. As per G.O.Ms.No.327, MA &UD (C) dept., dated:27.08.2012.